Hostel021 i Novi Sad, Serbia: Bestill nå! 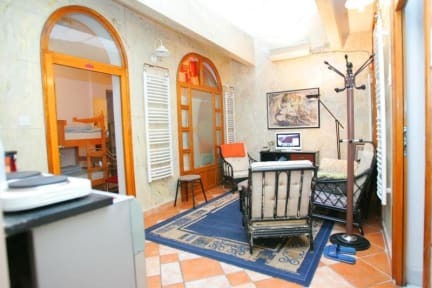 Hostel021 is 3 minutes of easy walk from City Hall, National Theater and St Marry Cathedral. 5 minutes away are located bank, post office, restaurant. 50 meters ATM and exchange office. 100 meters supermarket and bakery. Exit Music Festival is 20 minutes of walk far from the hostel or 7 minutes in city bus. If you want to discover Novi Sad, charming and magnificent city of great night life, reach history and kind people, Hostel 021 is the perfect place for accommodating. Our guests have at their disposal 27 beds in 7 rooms - from double bedded room to dorm style room for 6 persons. 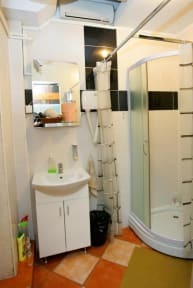 Hostel also have bathrooms, kitchen with fridge, mini bar, living room with LCD TV. WiFi Internet is also available free of charge to all our guests as well as towels and linen. Guests also can use hairdryer, stove and fridge.